Are you a partner of LeadDyno? If not yet, then we’d love to work with you. I always pay my affiliates what I’m comfortable paying Google, Facebook and the other internet overlords for a conversion online. In fact, I try to steer on the generous side with my own reseller and influencer partners, because I’d rather give the money to them! 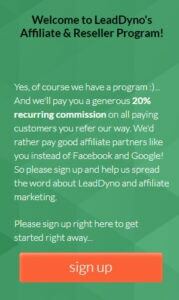 This is why we (LeadDyno) offer a 20% recurring commission to our partners. Send someone our way, and we’ll pay you as long as they stay (which is usually for the lifetime of their business). Also, there’s no charge to sign up, and I (Brett) will provide you with everything you need to send traffic our way. It’s as easy as clicking the Facebook share button on our Affiliate Dashboard! If you want to learn more and sign up for our affiliate program today, then go here. Firstly, thank you to all of our high octane partners who sign up clients for LeadDyno accounts! We now have an easy-to-use agency feature that will help you manage all of your clients’ accounts (and quickly toggle between them as needed). Contact Us and wait for us to approve you as an official LeadDyno agency. Then, your client (or you, from their account) will be able to assign you as their agency. Finally, you’ll get a slick, simple view that will let you toggle between accounts. 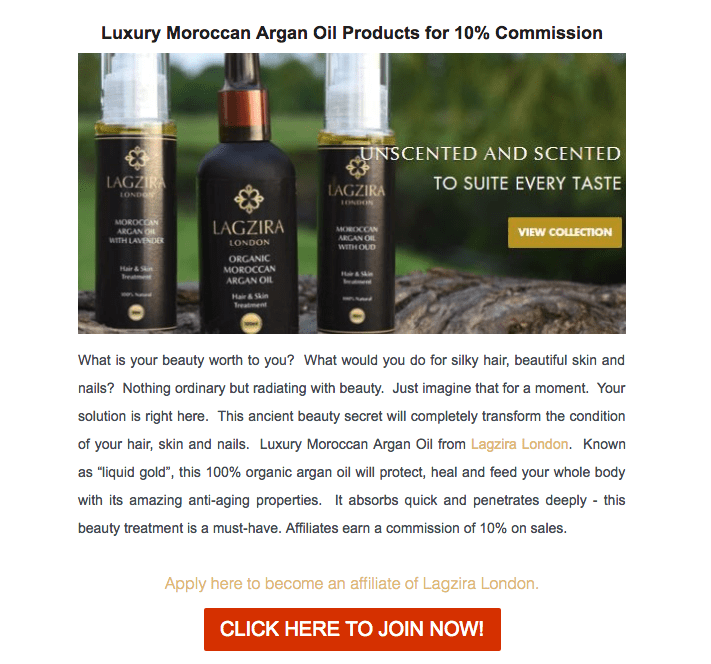 These requirements provide our affiliates and influencers with a selection of high paying, high selling, highly original products across 21 different categories. Want to search our affiliate program directory? Then use this search box to start looking – and click the Apply button on any program that looks like a good fit for you. Are you a LeadDyno merchant looking for an introduction to the qualified affiliates and influencers in our affiliate network? Then join today – it’s a free (and valuable) benefit of your LeadDyno membership! The easiest way to get started is to log into LeadDyno and click the Network tab in your lower-left corner. That will pop up a wizard where you can fill in information about your product and your affiliate program.